Marigaux, a famous name, a renowned brand. Since now over 50 years the name Marigaux has been associated with those of the greatest oboe players, its reputation ever continuing to assert itself. Semi-automatic, grenadilla wood, silverplated keys. Delivered with light back pack. A keywork design allowing the musicians to use all the different fingerings. An exceptional ease of play. 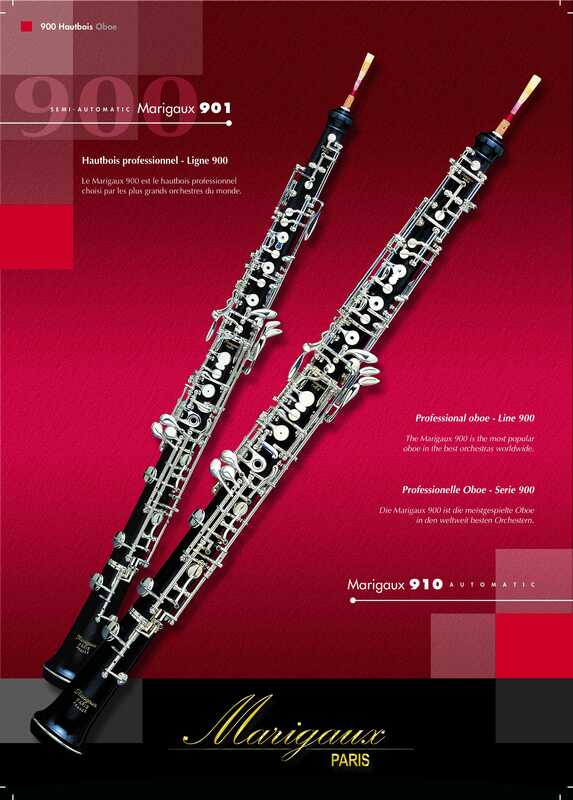 The same production standards as professional oboes.